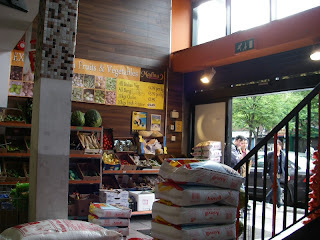 New Life in Ireland: Taro, okra and daikon, oh my! 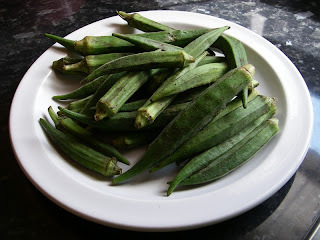 Ok I have to admit I like okra. Those funny green flower pods that get slimy when you cook 'em. 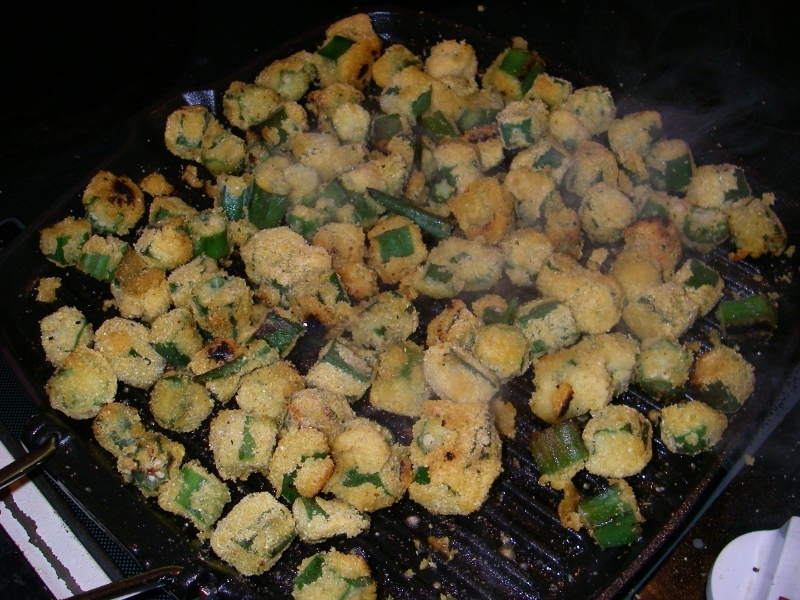 I use Alton Brown's recipe for Wet Fried Okra where you cut up the okra and put it in a bag with corn meal (or finely ground polenta) and do the shake-n-bake thing to coat the pieces nicely. 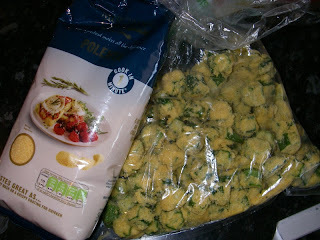 The corn meal sticks to the slime in the pods and absorbs all that mucilage. 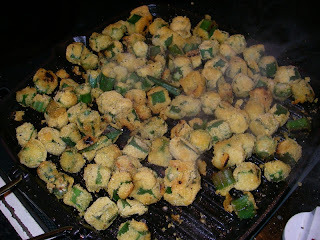 Then you fry them in a pan for about 15 minutes. We have a hard time not eating them right out of the pan like popcorn while they are frying. They are SO yummy. Thank you Alton! 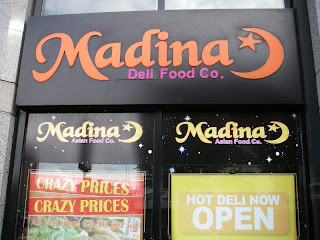 We get our okra from a super cool grocery store in Parnell street called Madina. 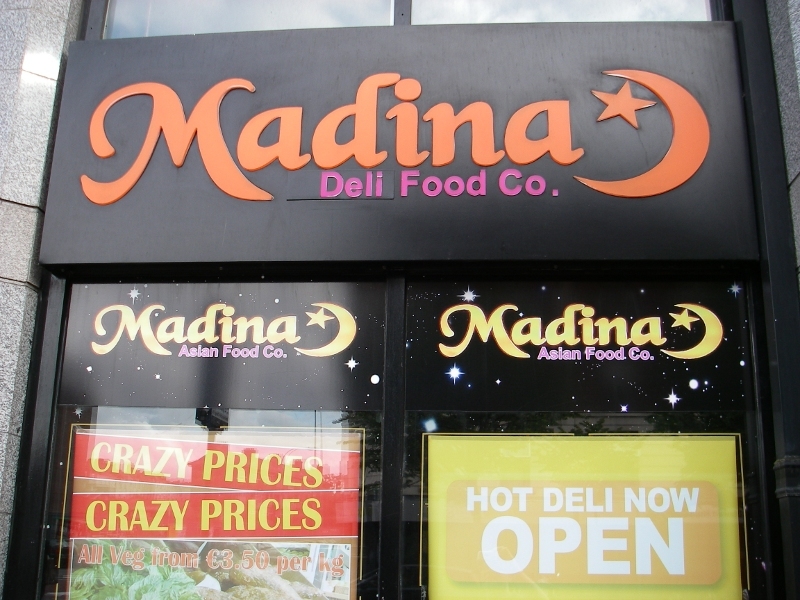 The sign out front says "Asian food" but it's more like Middle Eastern food. Inside they play some kind of Arabic music that sounds like a guy singing in a Minaret, (hey it's kind of catchy...) and they sell stuff like pickled lime and Turkish coffee. Plus, the copy of the Qur'an over the counter gives it away as a traditional Middle Eastern market. We have yet to try the lamb butcher in the back but it sure looks good. When I think of "Asian grocery" I think more like ginseng tea, Thai curry paste and packages of dried seaweed. This place doesn't have the seaweed, but they pretty much have everything else! They have Indonesian pilchard in a can and daikon radish as big as a baseball bat. 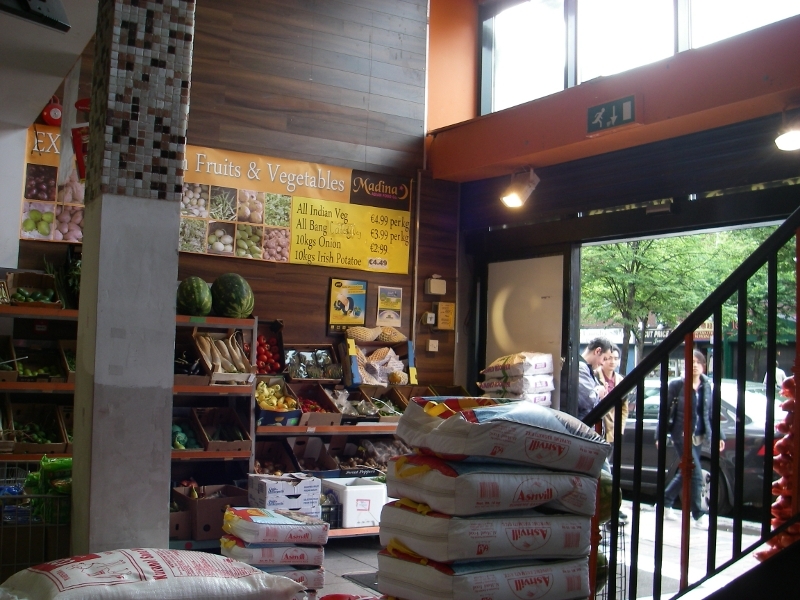 We love the produce here and the sales staff are so friendly. Three cheers to the cool sales clerk with the NY hat and perpetual smile. This is the only place I've seen in Ireland that sells fresh okra, and honestly I don't know how they make a profit because they are practically giving it away. Great prices. We want to come in some time when nobody is around and ask the sales clerk to tell us what all the funny vegetables are. One of them looks like an alligator; I think that's a cherimoya fruit? Oh yeah. It was like one of those Mexican papayas they sell at Trader Joe's. It was as big as a football. I still want to try one of the Cherimoya. They are supposed to be good.